Oh, if only that were the end of it. Mistakes made, corrected, and everyone moves on having learned something. 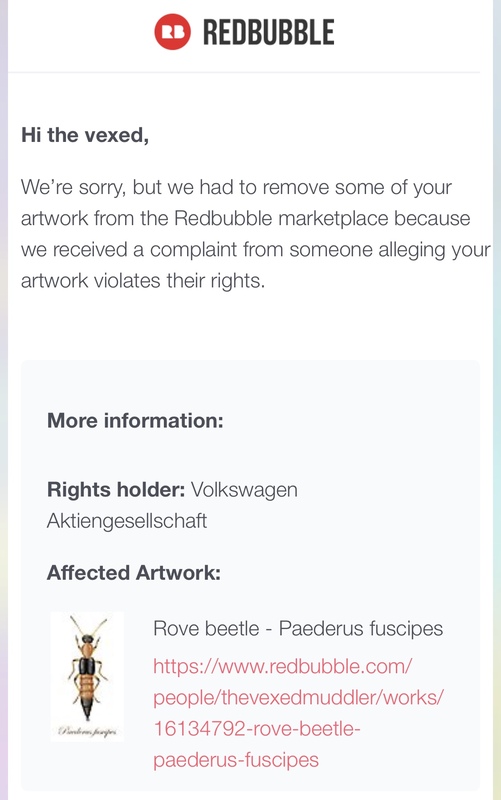 However, months later, in mid-2018, Muddles received two more takedowns for drawings of beetles from Volkswagen. Once again, the art was of insects and not cars. Faced with the takedown of prints titled “Buprestic rufipes - red-legged Buprestis beetle” and “Rhipicera femoralis - feather horned beetle” (you can see how Volkswagen got confused and thought these were prints of cars), Muddles once again went to her lawyer. Muddles is lucky. She knew the law and had access to a lawyer. Not everyone is in her position. Deciding to file a counter-notice can be a very fraught thing, even if you know you’re in the right. This is why it’s important that actual human eyes, backed by actual human judgment, look at things before takedown notices are sent. Simple logic says that a sweep for the word “beetle” is going to turn up a lot of false positives for Volkswagen. And not every artist is going to be as knowledgeable as Muddles. It’s also concerning that RedBubble didn’t get back to Muddles after the December incident. It should not take a sternly-worded letter from a lawyer after the third ridiculous takedown notice to get a response. After Muddles explained it and, again, human eyes confirmed that there was no infringement going on, her art should have been restored to the site. At the very least, she shouldn’t have had to guess whether or not she was in the clear. 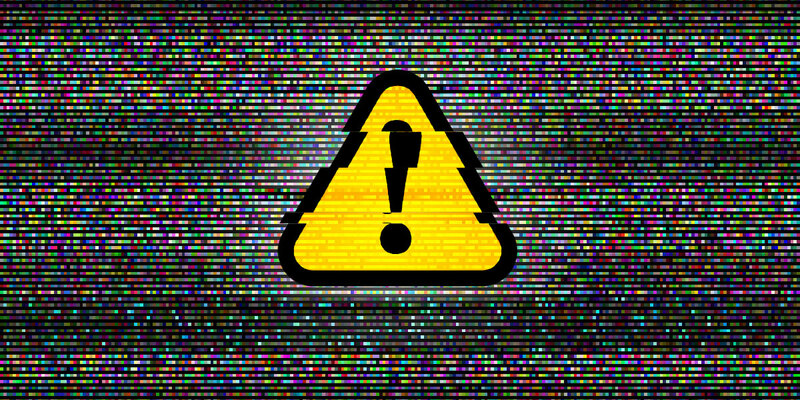 Especially since receiving repeated, unresolved takedown notices can result in someone losing their account on a site. She should have known if she had a strike against her or not. This kind of story really bugs. And, in case Volkswagen is reading, that’s in the colloquial sense, not the car.